JET Program 2012 application now available! Application deadline is 5:30 PM December 2, 2011 (this is the date by when the full application packet must arrive in the Washington, DC JET Program office). *Note: For compatibility issues, it is best to fill out the application with a browser other than Firefox. A JET alumni named Sam Baldwin recently released a novel of his experiences as a JET in rural Japan. 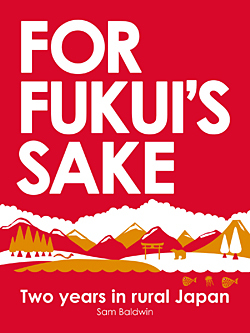 Please check out the blurb below and read more on his site ForFukuisSake.com. If you know of any other alumni projects that might be of interests to other JET alumni or current JET participants please comment below.